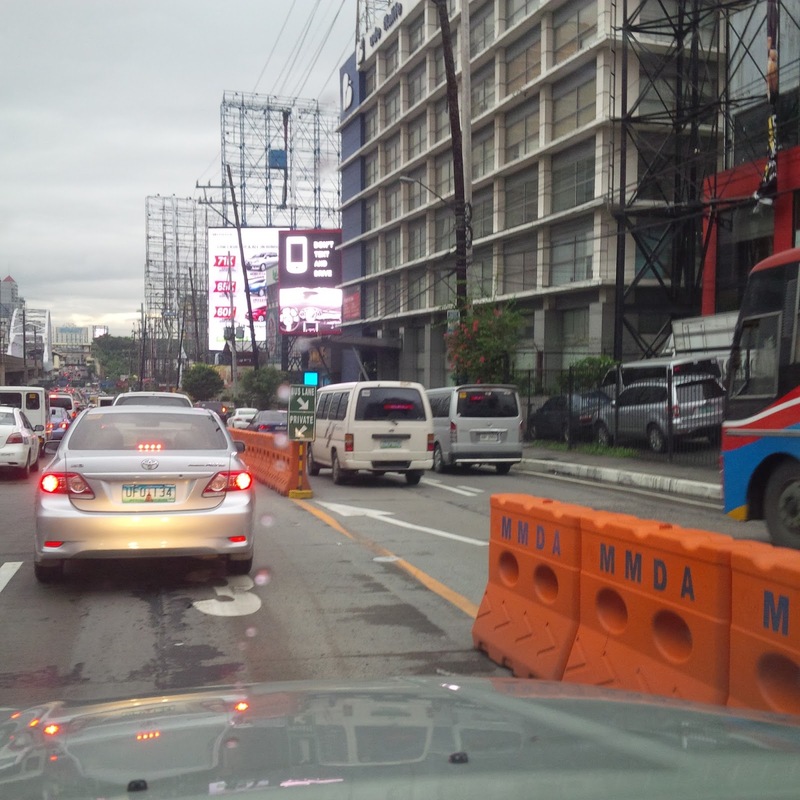 That Manila has the worst traffic on Earth has a name: MMDA = Metropolitan Manila Development Authority. In Manila owners of cars rarely drive, they are being driven and usually sit or sleep in the back of the car. 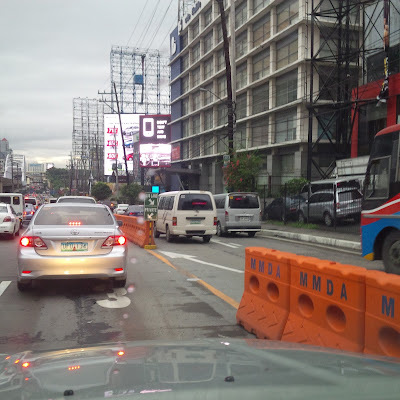 Decision makers in the MMDA can't be drivers as they fashion barricades that do not make sense and only lead to further congestion. BTW, the lane on the right is a bus lane. Most times the barricades are not in line as busses and cars often run into them.